Literally, pelletized fuel is produced by a wood pelleting machine from either agricultural wastes or forestry residues. However, in order to accomplish the manufacturing safely and successfully, just one machine is not always enough, which is why pellet production line is introduced. 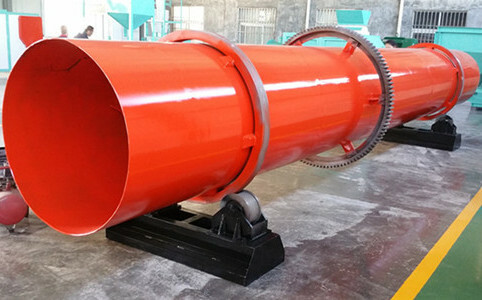 For some raw materials, debarking, chipping, crushing, drying, pelletizing, cooling and packing should all be taken into consideration, while for coconut shell pellet line, the first two can be saved because of feedstock properties. 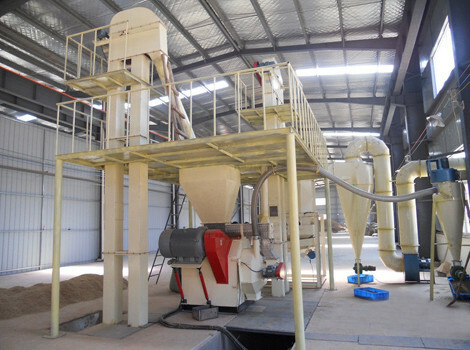 As the first step of 4t/h coconut shell pellet line, crushing means to grind large raw materials into smaller particles or powder. When coconut shells are sent into crushing chamber, the hammers which are rotating speedily under the driving force of rotor will beat them hard. After enough impact and friction, they’ll be squeezed out through the screen with a much smaller diameter, less than 5mm. 1. 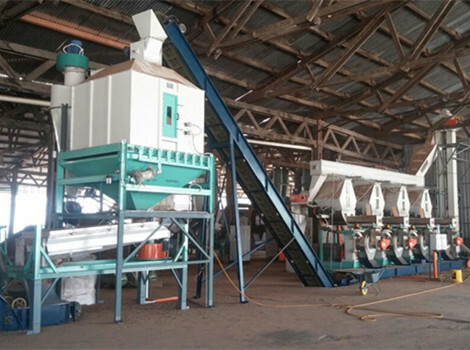 Widely applicable raw materials: Various kinds of raw materials can be processed by wood hammer crusher, such as corncob, crop straw, fruit shells, dry grass, wood sawdust and furniture shaving. 2. 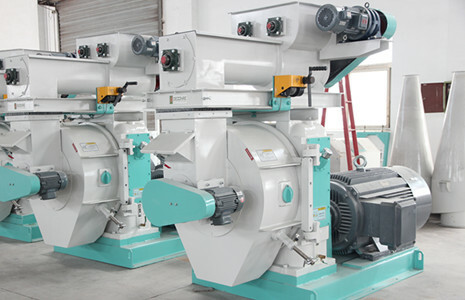 Automatically feeding: The feeding device of wood hammer crusher is able to control and adjust the feedstock amount automatically and reasonably. 3. 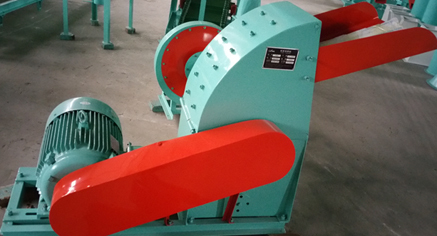 Changeable size: In order to realize both fine and coarse grinding, the size of wood hammer crusher is designed to be adjustable through changing the gap between hammers and screens. Before being sent into wood pellet machine, coconut shells should be dried first. Between airflow wood dryer and rotary drum dryer, the latter is chosen for 4t/h coconut shell pellet line because the largest capacity of the former is only 900kg/h which cannot meet the processing requirement. Mainly composed of air heater, blower and drying pipe, rotary drum dryer is designed for processing large amounts of raw materials. Same as airflow type, this one also works on the basis of heat transfer between airflow and feedstock. 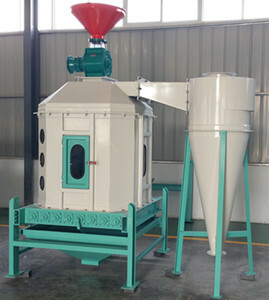 Yet, the main processing device is a rotary drum-shaped drying pipe instead of a curving drying tube. What should be noticed is that the drying degree of coconut shells should be well controlled. Too dry may be hard to mold, while too wet will reduce the manufacturing efficiency and speed. Generally, 10%-17% of moisture content is recommended. As the core part of the whole procedure, device used to process wood materials into pellets is classified into ring die pellet mill and flat die pellet mill, with larger and smaller capacity respectively. Thanks to this reason, the former is adopted for 4t/h coconut shell pellet line. And in this line, there are four sets of MZLH420 ring die pellet mills. After being crushed and dried, coconut shells are fed into pelletizing chamber where ring die rotates under the driving force of rollers. Between the space of die and rollers, they are repeatedly pressed and impacted under certain high temperature, which changes their shapes, densities and combustion features. At last, reshaped shells are extruded out through die holes and discharged from ring die pelleting machine. 1. Large capacity: The capacity of ring die pelleting machine ranges from 0.5t to 2t, realizing the processing for different materials with different amounts. 2. Superior parts: This ring die pelleting machine owns overload protection safety pin, customized die size, variable frequency feeder, snakelike spring coupling, imported bearing and advanced oil seal. 3. High output: Gear drive instead of belt one is adopted, which makes its output increase by 20%. 4. Wide raw materials: Apart from coconut shells processed here, many other materials are also applicable, such as wood sawdust, shaving, branch and log left behind in forestry mill as well as corncob, wheat straw and rice husk thrown away after harvest. Please be aware that produced coconut shell pellets shall not be packed and stored before cooling process. First, if put these pellets with more than 85℃ in a sealed bag, their quality will be affected. Second, about 15% of moisture content may lead to their mildew or breaking back to powder. Third, too high temperature may cause malfunction of subsequent biomass pellet packing machine. Among various kinds of cooling machines, counter flow pellet cooler is adopted for 4t/h coconut shell pellet line. It cannot only cool coconut shell pellets to 3-5℃ but also reduce their moisture content by about 5%, having the characteristics of excellent efficiency, automatic discharging, quality damage prevention, etc. Last but not least, coconut shell pellets should be appropriately packed. In the process, you only need to place the bags in proper place. 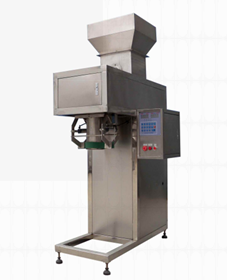 All the following filling, weighing, conveying, sewing and sealing are done automatically. Weighing sensor and adjuster are designed on biomass pellet packing machine. When set weight is reached, bags with coconut shell pellets will be automatically delivered to the sewing part by belt conveyor.